I love a good set of glass food storage containers. We use ours all of the time. 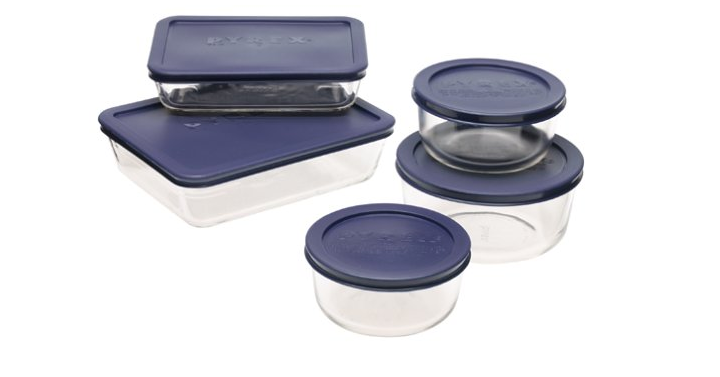 Amazon has the Pyrex Simply Store 10-Piece Glass Food Storage Set with Blue Lids for only $13.14! (Reg. $23) This set comes with: 2 x 2-cup Round Dishes with Blue lids, 1 x 4-cup Round Dish with Blue lid, 1 x 3-cup Rectangular Dish with Blue lid, and 1 x 6-cup Rectangular Dish with Blue lid. Keep in mind, Amazon pricing can change at any time! Don’t wait to purchase this deal or it might be gone when you come back!